Isn't it strange how sometimes you can look at an image without really seeing it? I've been working my way through the WEDway Radio archives (well worth checking out, BTW), and something I heard in Episode 13 caught me by surprise. 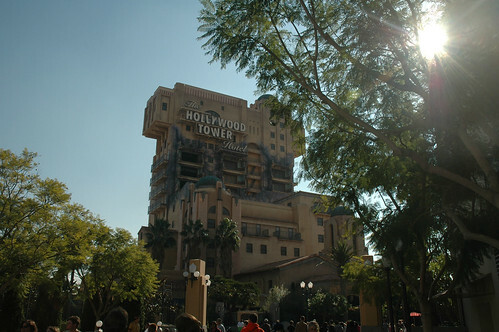 WEDway Radio episode 13 compares the two domestic versions of the Tower of Terror attraction. 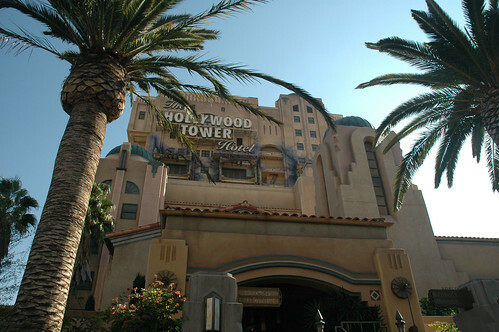 While I was well aware of the substantial mechanical differences between the attractions, I was surprised to hear that each rendition of the "Hollywood Tower Hotel" is actually constructed in a different architectural style. Yet Another reminder to always keep my eyes (and my mind) open! 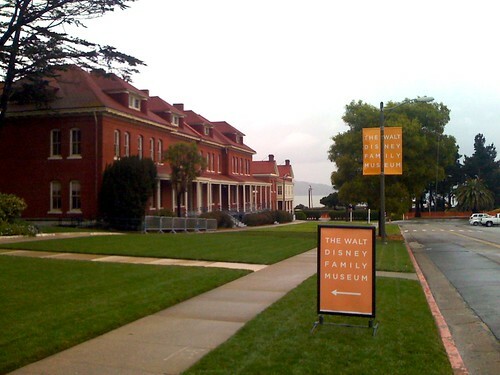 Last March I had the opportunity to tour The Walt Disney Family Museum. If you are a fan of Walt Disney, or a Disney fan that would like to learn more about the man who started it all, then a visit to this museum is time well spent. 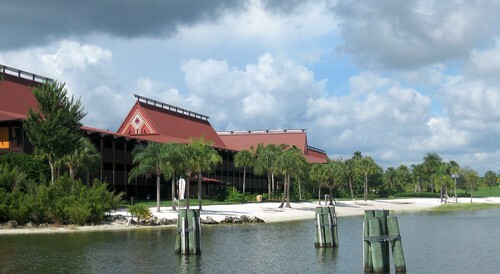 I spent about 5 hours there (including a lunch break at the museum cafe - try the chili ;-]), and had a great time. I feel like I could have easily spent two days exploring the galleries. 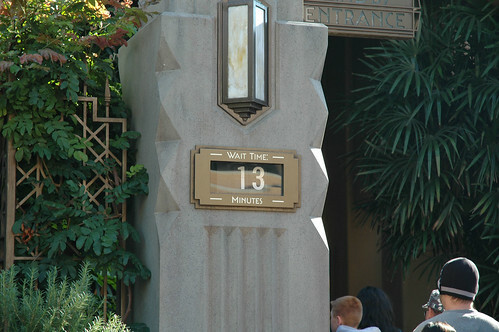 (Full disclosure: I'm a Disney geek, and also one of "those people" who likes to read the plaques/etc). 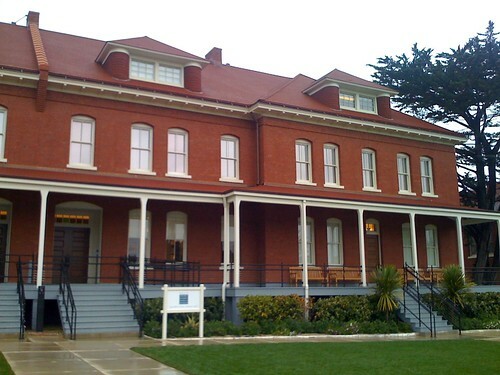 The museum is located in three beautifully restored buildings at The Presidio of San Francisco. In addition to the permanent exhibits, the museum also has an ongoing calender of special events, which include film screenings in their on-premesis theater. Check out the event calendar on the museum's official website. You can also subscribe to their twitter feed (@WDFMuseum). 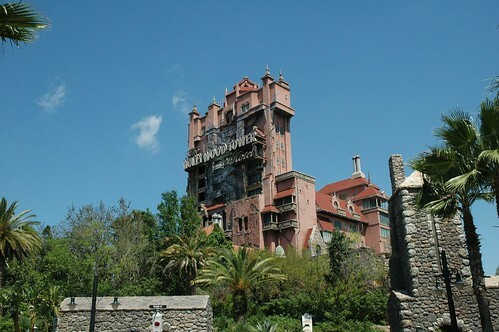 According to wikipedia, the museum is owned and operated by the Walt Disney Family Foundation - a non-profit organization which is not formally associated with the Walt Disney Company. 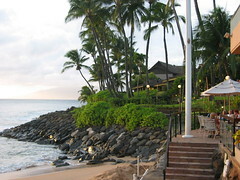 One tip -- plan your visit in advance. Admission is controlled by timed-entry tickets to avoid over-crowding in the galleries-- you reserve a specific date and time for your visit. The web site should show current ticket availability. The museum strictly forbids photography inside, so I won't be able to share any images with you. 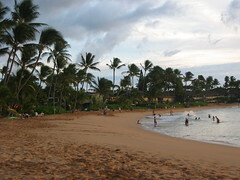 However, you can see select images from the galleries at the official WDFM website. 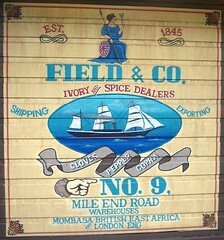 UPDATE - You can also see some lovely images over at SamLand's Disney Adventures. Below the fold, I briefly list some of the things which stood out in my memory (with some mild spoliers). One of the things I loved about the place is that as soon as you step inside something just says "Disney" - but at the same time it very much looks like it belongs in northern California. 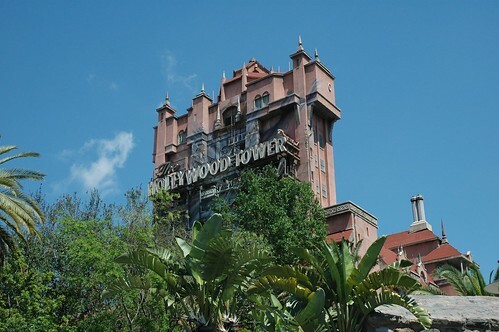 After you enter, make sure to take a moment and go downstairs to the basement and check out the classic Disney film and Disneyland attraction posters. There's one simple yet amazing display near the end of gallery three. Two monitors are stacked on top of each other showing two animated short versions of The Ugly Duckling - one from the early 1930's and one from the end of the decade. Although made a mere ten years apart the differences in artistry are astounding. The pantomime and sight gags which dominated the early offering are replaced with storytelling, "personality animation", engaging camera perspectives, and effects animation including the multiplane camera. Many of the galleries feature dynamic and/or interactive elements. For example, the frequent use of flat-panel displays allows guests to see much of the work as it was meant to be seen - in motion. The galleries are organized by periods in Walt's life, which break down roughly by decade. The transition from the early years to Walt arriving in Hollywood in 1923 was particularly well done. There are some great artifacts on display, including a towering multiplane camera, the original "cir-car-rama" camera, and a section of track and a car from the Carolwood Pacific railroad. There's also a nice collection of Disney family keepsakes - including a charm bracelet that Walt gave to Lilly featuring miniature Oscar statues commemorating each of Walt's Academy Awards. The gallery focusing on the 1940's was fascinating - with displays about the animator's strike, samples of the studio's World War II propaganda and training films, and momentos from the famous "Walt and El Grupo" visit to South America. As one might expect, there is a wealth of original artwork. I especially enjoyed the chance to take in many works by Mary Blair. There are deep interactive displays that I could have easily spent hours at, including an innovative multi-touch display that allows you to interactively explore the pages of a personal journal of one of the studio's effects animation pioneers. This is truly a museum-quality reference resource! The gallery devoted to the 1950's has a wonderful set of interactive booths that invite you to explore "clouds" of hundreds of images, video clips, and audio samples. The expansive gallery nine is the signature space for the museum, and contains some lovely "large footprint" displays, including a nice model of Disneyland. If you look carefully, you can even spot a floor pattern design that pays homage to Walt's "EPCOT the city". In addition to all the visual treats, there are also plenty of stations featuring audio clips. During my visit I listened to Walt, his brother Roy, Frank Thomas, Ollie Johnston, Ward Kimball, Alice Davis, and many others. Walt Disney was an amazing man, and The Walt Disney Family Museum is an amazing place. Although it requires a special trip for most of us to see, I think it is very well done and absolutely worth the journey. I hope it continues its mission for years to come.